When Eric Rodriguez, junior political science major, wants to impress his girlfriend on a special day, he has a particular sweet that he likes to use. Rodriguez, a president’s ambassador and a member of several different organizations such as Sigma Phi Epsilon, has been baking for a good portion of his life. He used to help out his grandmother in the kitchen during the holidays and would support his local church by making cookies to be donated at bake sales. As an on-campus resident, Rodriguez rarely gets a chance to bake, but take the opportunity on Valentine’s Day to make something special that he found for his girlfriend. According to Rodriguez, his girlfriend’s favorite drink is Dr. Pepper; knowing this Rodriguez found a recipe that incorporated the soda into a cake. As a small bonus the red velvet cake color is almost identical to a the Dr. Pepper can. “Also, the cake is really healthy, which is great because I’m passionate about fitness,” Rodriguez says. The cake is a healthier option because it substitutes out vegetable oil for soda. Diet Dr. Pepper can be used to make the desert even healthier. Rodriguez plans to continue to make the cake for his girlfriend and family members in the future; Especially during special occasions like Valentine’s Day and Dr. Pepper-loving relatives’ birthdays. Mix cake mix like it says on bake of package and combine Dr. Pepper in a mixing bowl. Preheat oven 350 and cook for 30 minutes in pam sprayed pan. Mix pudding mix with skim milk until ready. Put as much cool whip as desired. A T-Shirt swap was held on campus on November 19 in the University Center. The event was hosted by the St. Mary’s Athletic department and SATP. In this KSTM news brief we cover the bombing of French aircrafts on Syria and Iraq, recap the week of the NFC East, and prepare you for the weather over Thanksgiving week. Trey Gonzalez, a psychology major, is a member of The Bridge band. The band plays every Wednesday in to allow students a chance to relax and worship God. 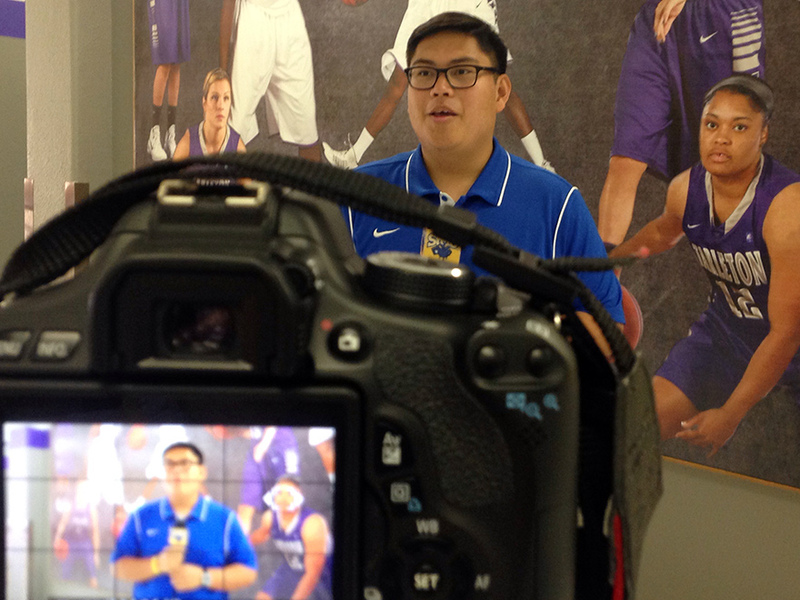 Brian Magloyoan, class of 2015, has recently started as the new assistant sports information director. 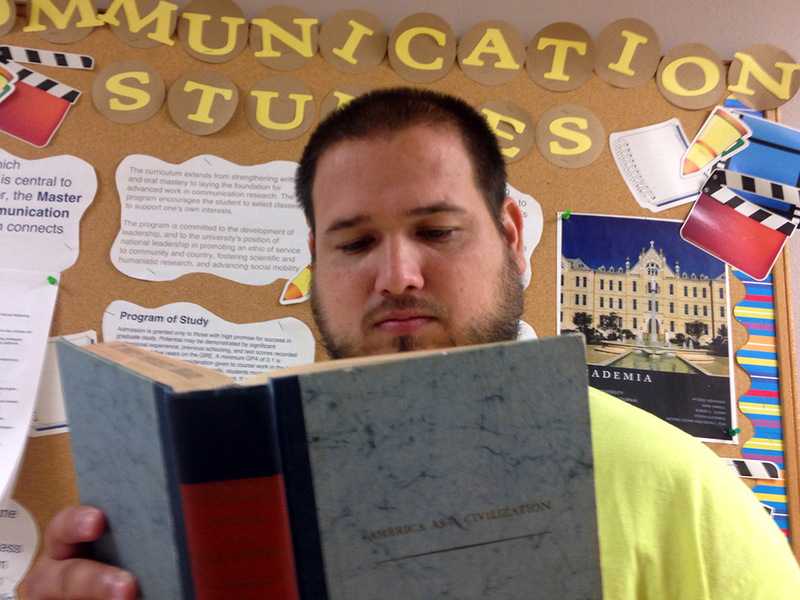 Eddie Paniagua is a junior history major who plans to one day become a professor. Eddie Paniagua is a junior history major a St. Mary’s University who is passionate about the colonial period and the Civil war. He plans to one day become a professor and do research in the field. I’m really excited about what I can learn this semester. There are so many skills that I think will make me a valuable, attractive employee. I’m certain that one of the things that makes you a valued employee is being versatile. While I already have some experience in sports media being experienced in media production will help me in many ways. I believe that if I understand the process then I can think of more ideas. I am excited that I’ll be able to produce some of my own work. I’ve interviewed people and made videos in the past, but now I’ll be able to edit and finish the work. This will allow me a chance to work on my schedule. I am also excited about updating my resume after the semester. I am nervous about the workload of this class. I’ve had friends who have taken this class before, and they spoke about how much work it is. I know that dedication will be a huge part of this class, and it is something I am up for. This course relates to my career, because I want to work in sports media. Having all of the skills I will learn from this class will help me immensely. 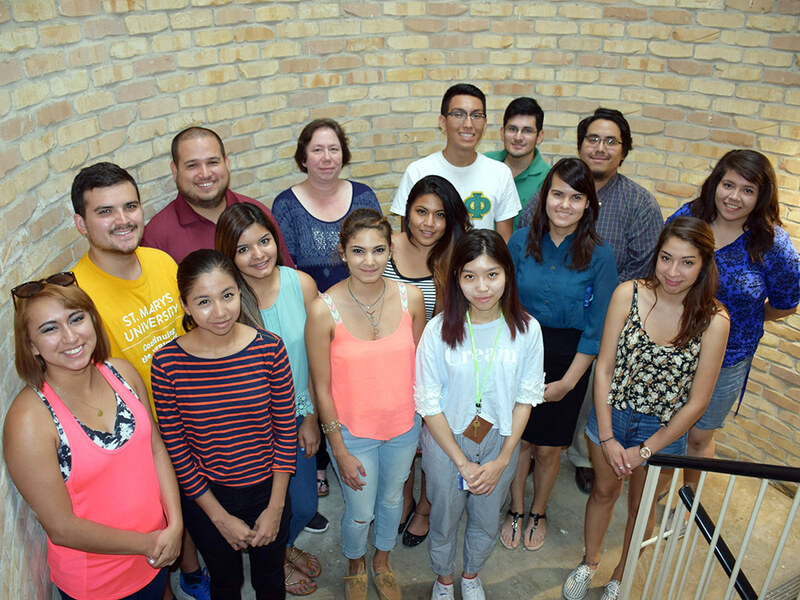 The students of the EA 3360 Media Production class, top row from left, Joe Rodriguez, Eddie Paniagua , Stacy Fowler , Mathew Martinez, Erick Cerritos, Ricardo Iruegas, middle row from left, Chelsea Aguilar, Sammantha Rodriguez, Galilea Morales, Lynette Montalvo, bottom row from left, Catherine Ortega, Michelle Michimani, Sarafina San Miguel, Ji Huen Han, and Paige Ganara posing for a picture at the start of the Fall semester. This is my website for my EA 3360 Media Production class.